Renders of the Mi Note 3 leaked earlier in the day, with the device shown sporting dual rear cameras and a front-mounted fingerprint reader. While Xiaomi considers the Mi 5 to be its flagship for 2016, the Mi Note 2 made a pretty compelling case for being the OEM's actual flagship, what with it being way more powerful than the Mi 5 and all. The Mi 6 only launched in May and rumors of the upstart Mi Note 3 are already crawling out of the woodwork, and if its predecessor is any indication, we may be having another flagship on our hands. The Mi Note 2 launched towards the tail end of 2016, though, so a release wouldn't be happening for quite a while. Leaked renders of the Note 3 surfaced earlier in the day, revealing a device with dual rear cameras and a front-mounted fingerprint reader. Not very unlike the Mi 6, to be exact. 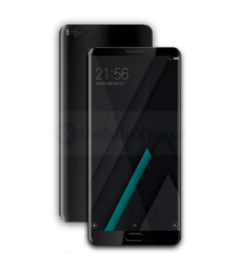 Specifications are to be taken with a grain of salt at this point but the device has been touted to come equipped with the Snapdragon 835, 6GB of RAM, 128GB of internal storage, 5.7" AMOLED display, and a 4000mAh battery. Not much of an upgrade from the Mi Note 2 but enough to give the Mi 6 a good run for its money.